A one to one homeopathy programme designed to help people who are struggling with anxiety, panic attacks, social phobias or other anxiety related disorders. Together in this programme using natural remedies we work to help relieve your anxiety so you can enjoy peace and calm in your life. to resolving anxiety, panic attacks and stress related ailments naturally. Homeopathy is a safe, natural treatment that works in harmony with your body to reduce anxiety and its related symptoms. In homeopathy we treat the person rather than a “disease label” and our aim is to get to the underlying cause of the problem rather than just the symptoms that manifest. In that way the body is freed up to restore natural balance and the relief is genuine and profound. A personalised homeopathy treatment plan is designed specific to your individual needs. This will include natural homeopathy remedies you can use during moments of heightened stress or anxiety for quick relief and deeper acting remedies to help resolve the underlying issues. You feel restricted in life because of anxiety, phobias or panic attacks. You feel stressed, overwhelmed or burnout with the many pressures of modern life. Your anxiety is undermining your confidence and affecting your quality of life. You feel self-conscious in social or work situations. You feel on edge, or full of dread, as if something bad is going to happen. You feel restless and unable to relax or switch off. You find it difficult to socialise or have an intense fear of social situations. You feel distressed before any event or situation. You are sensitive and worry about what people think of you. You fear leaving the house, fear crowds or fear public places. You suffer from obsessive compulsive disorder. You can’t stop worrying no matter how hard you try. You have problems sleeping because of worry. 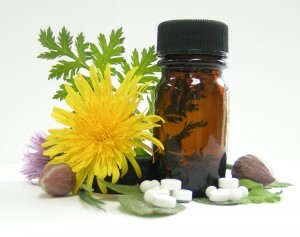 Homeopathic remedies are natural, safe, gentle and effective with no side effects. They are safe to use alongside conventional medicine. There are no addictive properties. They can be used safely by children and adults. It is a natural system of medicine recognised by the World Health Organisation as the second most extensively practiced medical system in the world. (1). (1). Tierney LM, McPhee SJ, Papadakis MA (Editors), 2003. Current Medical Diagnosis & Treatment. Revised ed. Appleton & Lange. Page 1701. The effects of using homeopathy are rapid. longer term to help you feel more confident and better able to cope with life’s challenges. Improved confidence and self esteem. An ability to care less, worry less and switch off. A clearer and calmer mind. Improved physical health, sleep and better immune function. Increased energy and motivation helping you feel more vibrant and full of vitality. A personalised homeopathy treatment plan designed specific to your individual needs. This will include prescribed natural homeopathy remedies you can use during moments of heightened stress or anxiety for quick relief and deeper acting remedies to help resolve the underlying issues. Self-care recommendations for building relaxation time into your life easily. Quick tips for instant stress reduction. Healthy eating and positive diet practices. Tips to improve your sleep. Weekly motivational quotes to inspire and support you (delivered to your inbox). Consultations can be done in person or worldwide online via Skype/Video Call. I first visited Eileen as I was suffering very badly with anxiety, panic attacks and maybe depression was setting in too. I’m a single mother, I’ve had a lot of grief and loss of family and friends in my life and I had recently lost my job. I couldn’t eat, sleep, go outside and most days even brushing my teeth was a task. Travelling a 60 minute bus journey to work had become a ‘job in its self’. I started having panic attacks first thing in the morning while waiting and sitting on the bus. The adrenaline was pumping through my arms and my throat would close up when I reached a specific point in my journey. I had to stop getting my express bus and got a longer bus which I knew I could get off of at a minutes notice. I found the whole process with Eileen fantastic and seen a big improvement. After a short time taking the remedy I had an overall calming feeling. My bus journeys returned back to normality. I would definitely recommend meeting with Eileen if you suffer from panic attacks. It’s good to talk and she may even be able to help you with something else! “I have been to and from Eileen for a few years now. Both Eileen and homeopathy have helped me through many tough times. I have had several factors in my life leading to stress and depression. I have also suffered from IBS, often brought on by stress. Eileen’s approach has helped me view my own life and make the amendments needed. The homeopathic remedies supported these changes and emotional times and gave me the help needed to move forward and become healthy again. Eileen is very sympathetic and gentle in her approach which suited me perfectly. I no longer take anti-depressants. When I felt ready to come off them I used homeopathy as a support. Homeopathy has helped me through work related stress, home related stress and also trauma and grief. I deal with stress much better now and I am able to recognise it faster before it becomes a problem. I certainly attribute Eileen and homeopathy as contributors toward my new approach to life. I have been attending Eileen for Homeopathy over the years and feel quite blessed to have had her recommended to me by a colleague. She provides a very holistic and caring approach for various ailments like no other Health Professional I have met. There is nothing I would recommend more to anyone with any health concerns than visiting Eileen. it really has helped and supported me in so many ways I have lost count. 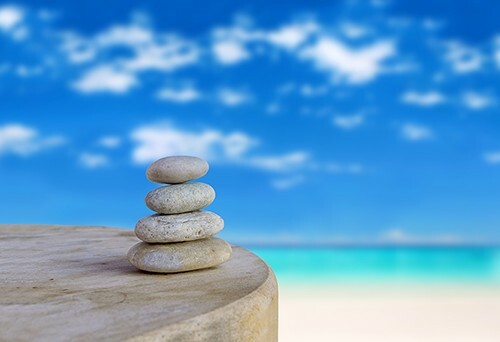 There are so many wonderful tools we can use within homeopathy to help you reduce the stress and anxiety in your life. It is ideal for those who are ready to commit to improving their health and feel empowered and motivated in the healing process. It offers a safe and supportive space for deep healing and it is a great opportunity for self-discovery. Want to experience rapid, long lasting relief from anxiety too? 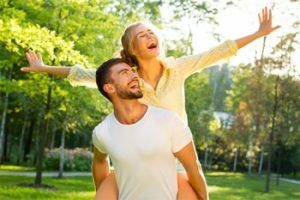 With over 15 years of study and practice in Homeopathy, I have worked with a wide range of people struggling with stress and anxiety related ailments. 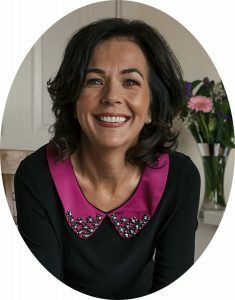 I am passionate about helping them quickly get back to living and enjoying a healthier and stress free life and I firmly believe homeopathy has so much support to offer. My clients come from all walks of life including professionals, teachers, busy mums, directors, actors and children. If you are ready to commit to resolving the stress and anxiety in your life, you can take that first step by requesting a Complimentary Anxiety Breakthrough Call to see if I am a good fit for you. Or you can sign up now by email and I will be in touch with you to set up our first appointment.